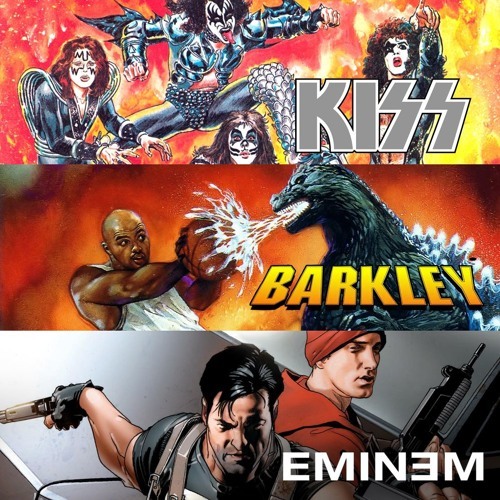 On this episode, the gang plays with their action figures and makes Eminem Kiss Charles Barkley. In this episode, we go through a world that’s mostly foreign to us, celebrity comic book tie ins from the 70s, 90s, and 00s and we never want to leave. Joe just wants a big glass of debris filled chocolate milk, Ryan has a pretty complex and confusing relationship with a 70s rock band, while Sly has no idea how quicksand works, and his concierge does nothing to help him understand.